2018 is a busy year for Fossil with the launch of a number of new smartwatches back at IFA 2018 that unfortunately had the old 2100 Qualcomm Snapdragon Wear 2100 chip. They’ve now just taken the wraps of their latest smartwatch, the Fossil Sport and, thankfully, this new wearable is packing Qualcomm’s latest Snapdragon Wear 3100 chipset for better battery life and overall user experience. The new chip should also provide a few other nice features, like an enhanced “ambient mode” and some better watch faces. The new Fossil Sport will come in a wide selection of colours, all of which look quite premium. The Aluminium finish also comes in a variety of options including rose gold, gold, blue, red or silver and there’s almost 30 different straps to choose from as well. The new wearable will come in two sizes, 41mm and 43mm, and there’s a 1.39″ OLED touchscreen display for getting around the features of the watch. There’s also a 350mAh battery inside as well with rapid charging, which will fully charge your device within an hour. For the fitness fans out there, there’s an in-built heart rate monitor, standalone GPS tracker, altimeter, accelerometer, and gyroscope sensors. 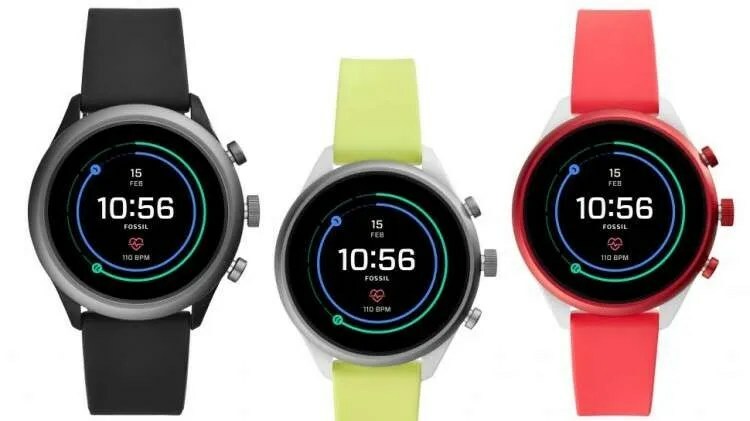 The new watch have NFC for Google Pay built in and also come with 4GB of internal storage so you can store music on board the device so you don’t have to bring your phone when working out or going for a run. You’ll obviously need Bluetooth headphones to connect to device and play your music from it. 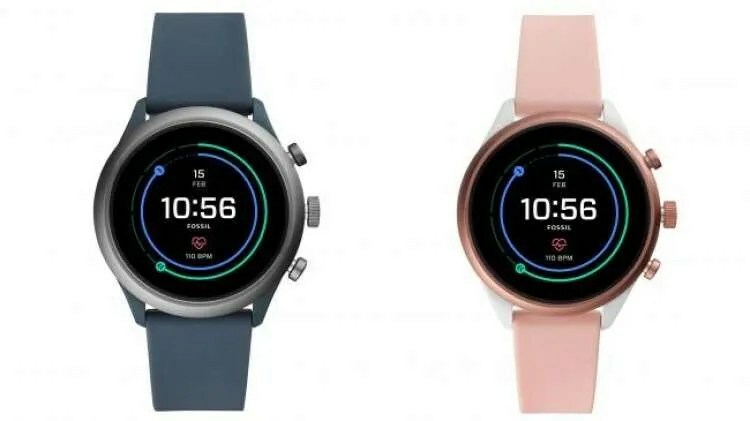 The new Fossil Sport is said to have ‘all day’ battery life and this can be extended to last 2 days if you use battery saver mode. The device also comes with the latest version of Wear OS, 2.1. Pre-orders for the new Fossil Sport start today and it will begin shipping next Monday. Pricing starts at £249 but we’ll be sure to update this article once euro pricing is confirmed.